We are helping you save time and streamline operations by using one application to run your day and your business. Create tasks and activities for yourself and team members. Replies are sent by email if they leave your site. Check off items on your to-do list to keep your day on track. TieiT will remember for you. Now you can create your social media schedule ahead of time, schedule the messages and let TieiT post them for you. Loop in teammates with notes and mentions to collaborate on difficult questions. Let TieiT find you targeted leads in your local area. No need to waste time following up on overdue accounts. TieiT&apos;s built-in account management module will help you stay on top of those pesky overdue accounts. TieiT will send friendly reminders to customers with overdue accounts, so you can spend more time on making more sales. Leave early for the day - stress free! The built-in automation tools will continually keep your business on point without you even being there! You can automate TieiT so it can send automated follow-ups and emails to leads to make sure you never forget and are always staying on top of your marketing. This way you can leave early for the day knowing that the marketing for your business is being taken care of. Website leads automatically get added to your CRM so you remember to follow-up. TieiT will send friendly reminder emails to customers with overdue accounts. Use the marketing automation tools to always stay ahead of your contacts and leads to keep your business top of mind. Easily syncs with Google Calendar so you can always keep yourself on track wherever you go. Sign up for a quick demo to see why so many businesses are signing up for TieiT! Now you can easily keep in touch with leads and contacts to increase your customer retention rate and keep your business top of mind. Get more social and be where your customers are. We made it easier for you to get your business more engaged on social media. Manage multiple social media accounts from one platform quicker. Add leads to drip campaigns to increase conversions. Automate a lot of what you might be doing manually. Use Email Marketing to help grow your business. Email Marketing will help drive-in more leads and help you continue to build long-term relationships with your customers by always staying top of mind. Send customers personalized birthday or anniversary emails to show them you care. TieiT will automatically send customers an email card every year so you don't have to remember. 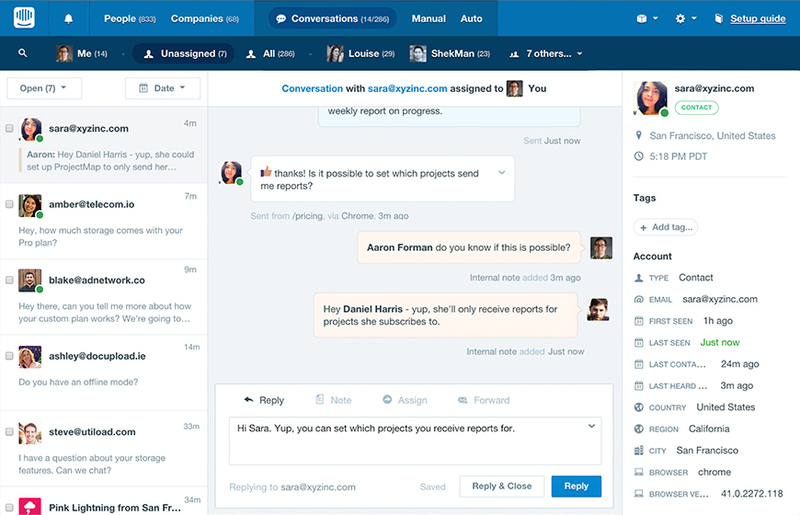 Your social connections can now easily get added to your CRM. Manage multiple social media accounts on one platform to save you time. Streams module will help you find targeted leads in your local area. Send direct messages to your followers to keep in touch. Now you can respond quicker to your followers from the same platform. Send personalized & automated emails to your customers to keep in touch. TieiT keeps track of all customer behavior so you can engage with past customers as if you never lost touch. Remember to send emails on those special days in your customers lives to really show you care. By gaining access to their social media, gain insight into your customers likes and interests. All the applications you need to successfully run and market your business on one powerful and easy-to-use platform. Drive in new-leads using Social Media. Let TieiT find you leads in your local area with our social Streams. Engage with new leads and past customers to keep your business active on social media. Integrated CRM that connects with other modules. Easily see what's going on with all of your leads from all points of views - sales, marketing and invoicing! Now you will be more prepared on your call because you will gain insight into your leads likes and interests. Email Marketing has the highest conversion rates of any type of online marketing strategy. Why? Because it lets you engage with your customers on a regular basis. Create targeted email marketing campaigns for all of your leads and contacts to always make sure you are staying in touch and moving your leads along the right sales pipeline. Automate your marketing by creating a workflow to send automated follow-ups to anyone who opened an email leading them to a landing page with a special offer. Sending customers from email campaigns to targeted landing pages have higher conversion rates. Create and send invoices & estimates to customers directly from TieiT. Collect payments online and keep track of customer purchase behavior. TieiT is helping businesses streamline operations by giving you the ability to manage your accounts, customers and payments more efficiently. Spend less time creating and formatting invoices. Imagine what you can do with all that extra time. Replies are sent by email if they leave your site. Ability to set due dates and payment terms on every invoice to keep proper track. Save time by sending estimates to your customers without having to spend time importing information Loop in teammates with notes and mentions to collaborate on difficult questions. Know the moment your client views the estimate or invoice. TieiT will help you stay on track of overdue and outstanding invoices. At a glance, you can see which customers are slow to pay, how much is outstanding and how much you have earned. You can also automate the system so TieiT will send friendly reminder emails to past due customers. TieiT sets you up with a secure online payment portal so you can start accepting credit card payments online with no additional set up fee. And if your customers prefer to pay cash or check, TieiT makes it easy for you to input and track different payment methods.